Judy Darley’s debut collection brings together twenty short stories ranging from already published stories including The Big Clean, published here at The View From Here (http://www.viewfromheremagazine.com/2010/05/big-clean.html) to new stories. Each story holds the reader’s attention with their intriguing plots including dead pigeons on window ledges, kissing at fun fairs and firework displays on the playground. 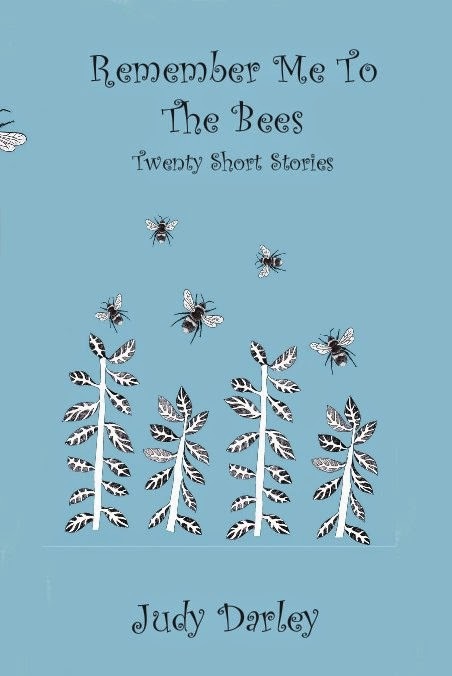 Remember Me to the Bees is not one of those short story collections that you can dip in and out, picking and choosing the stories you want to read, skipping other the ones that don’t grab you at the first sentence. This short story collection is one of those collections that needs to be read from cover to cover so you can catch all of the little images popping up again and again in slightly different ways, stitching together the collection into a whole piece. Each story can stand on its own but its not until you read them back to back that you notice the links between them – the lingering nature metaphors weaving through the stories, the breakdown and repairing of relationships, having a place in society – either losing it or trying to find one. The characters within these stories are on the cusp of change, physically and emotionally. Many characters have pasts that linger on the sidelines of the present, ready to make trouble in the future. The first story in the collection, Never Seen at Sea, and also one of my favourite stories in the collection, sees the sea luring the protagonist away from her controlling mother and her cocooned world to a beach full of new possibilities. While in Condensation, the skull of a rodent, found in the garden helps Yolanda finally come to terms of her cultural past and the acceptance of her mum’s failing health. Many short story collections fizzle out towards the end but Remember Me to the Bees holds the reader’s attention because Darley writes such interesting characters that are both extraordinary and ordinary at the same time. These characters could be your neighbour or a friend, dealing with the holes created by a missing sibling, dying relationships, the push and pull between generations and cultures, and relationships on the verge of breaking down or becoming stronger. The characters and stories will linger in your mind several days after finishing this collection.